Reman Services - American Industrial Transmission Inc.
American Industrial Transmission, Inc. (AIT) re manufactures industrial transmissions for lift trucks, small construction machinery, industrial equipment such as fork lifts, excavators, telehandlers, rough terrain lift trucks, cranes and industrial equipment. AIT re-manufactures transmissions for Hyster, Yale, JCB, Clark®, Dana Spicer®, DaeWoo (Doosan), Caterpillar, Mitsubishi, Komatsu, Nissan, Toyota, Taylor, Auto Lift, Hoist, Borg Warner, LiftAll, Lift King, Royal, Sellick, Pettibone, TCM, Electric sit-down Riders, Electric Walk-Behinds and more. Our transmission rebuilding program is the most comprehensive to be found. We begin with tear-down and immersion tanking. A customized parts list is created, including all bearings, seals, rings, friction discs, and steel plates. The pump will be rebuilt or replaced and the control valve is rebuilt. All gears and shafts are examined. Any that are worn beyond OEM specifications are replaced. Case components may be sleeved or repaired. The assembled unit is put on one of our dynamometers to be tested. We can assure you that your unit operates properly within all ranges, operates quietly, and shifts properly. Our dye testing assures that your unit will be leak free. 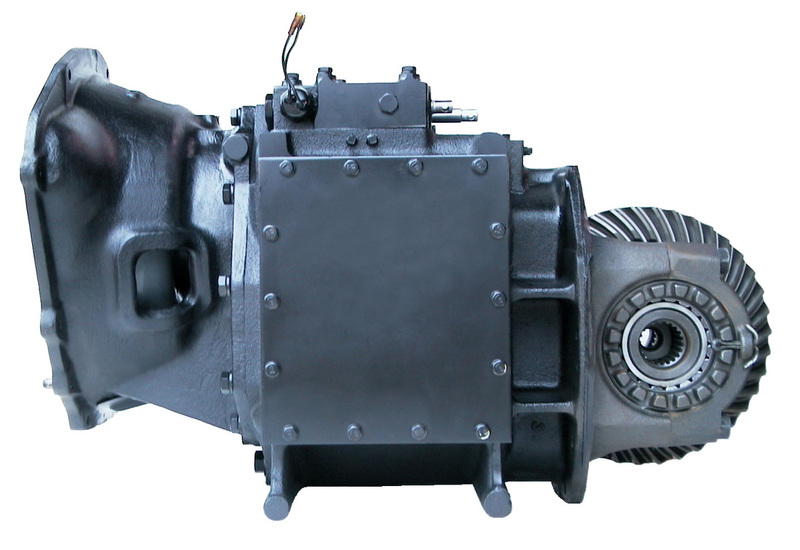 Our re-manufactured transmissions carry a six month warranty. AIT also re-manufactures drive units for electric forklifts for lift trucks, small construction machinery, industrial equipment and more. We offer the same quality workmanship and service and attention to detail in our electric drive unit re-manufacturing program. We offer many popular styles for exchange. Electric forklift transmissions use differentials that are set up similar to gas-powered transmissions. Our technicians are experienced in the set up for these types of differentials. AIT re-manufactures industrial transmissions for all these industrial and lift truck applications and more. AIT re-manufactures bolt-together and one-piece welded torque converters. Our converters carry our six month warranty. Our torque converter program has been improved, and we are able to rebuild your unit within 48 hours. Each converter is rebuilt as a unit. We do not employ an assembly line technique. All converters are given individual attention. We replace the hub, sprag, washers, and any components that are worn beyond OEM specifications. The run-out is checked carefully. We are proud of our ability to keep this measurement lower that many other re-builders' measurements. This means AIT's re-man torque converters fit better and run truer than other's products. AIT also re-manufactures drive units for electric forklifts for many of these applications. The Dana® Trademarks referred to herein are Trademarks of Dana Limited. The Dana® Trademarks are used for informational purposes only, and there is no connection between American Industrial Transmission, Inc. or this website and Dana®.